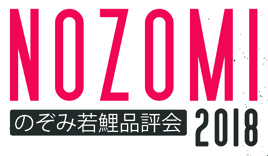 What is the Nozomi Young Koi Show? The Nozomi Young Koi Show is a full blown Koi Show judged by renowned koi expert, Northwest favorite and author of the book “Koi”…Grant Fujita. When is the Nozomi Young Koi Show? The Nozomi Young Koi Show takes place on Saturday, June 18th. Doors open one hour before events begin, and will remain open one hour after events have concluded. Events begin at 10:00 am and conclude at 4:00 pm. Regular breaks will take place between events and an hour break will be provided for lunch. Where is the Nozomi Young Koi Show? The Nozomi Young Koi Show is held on the grounds of Pan Intercorp in Kenmore, Washington. To find your way to Pan Intercorp follow the map below. You can also get directions by contacting Pan Intercorp at 1-800-827-5819. Entry fee will be $50.00 per owner which will cover the entry for exclusive use of one tank. Entrants will be assigned an exclusive tank by the show committee. You can download the full Show Packet for more in depth information. Pre-registration begins on Friday, June 17th at 10:00am, pre-regisrtaion can be filled by calling Pan Intercorp at 425-486-8504. Registration may also be filled in person at Pan Intercorp begining Friday, May 13th (open Fridays and Saturdays from 10-4 pm). You can download the show packet and fill out the provided forms and register via fax or mail. For the address or phone number see contact information listed below. Registration will also be accepted at the door on the day before the event. Limited parking is available on the back lot of Pan Intercorp. Signs posted will direct cars to on-site parking areas. Pre-registration begins on Friday, May 13th at 10:00am. Pre-registration can be filled by contacting Pan Intercorp at 800-827-5819 from 10:00am to 5:00pm Tuesday through Saturday, or by downloading a Show packet and filling out the registration form. Pre-registration can also be filled in person at Pan Intercorp, open Fridays and Saturdays from 10-4pm. Yes, we encorage you to bring the whole family. Events and games have been arranged for children of all ages. Unfortunately, pets are not permitted at the Nozomi Young Koi Show. For the comfort and safety of all, please leave your pets at home. How can I have additional questions answered?